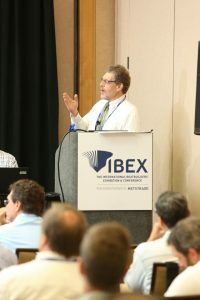 The IBEX Education Conference is known around the world for its robust training programs, with pre-conference Super Sessions, free Tech Talk Workshops, and the technical IBEX Seminar Series. But, until now, the IBEX Education Conference has been available only once a year, at IBEX. The short answer is now yes. The long answer is: starting Monday, August 13, we will be offering IBEX Seminars & Workshops Online to anyone who wants to join live or wants to review as a recorded session later. Just like IBEX in Tampa, some of these sessions will be free (like our Tech Talk Workshops), some will be sponsored by an outside organization or association (like our Super Sessions), and some will cost a small fee (like our IBEX Seminars). We are launching IBEX Seminars & Workshops Online with some free Informational Workshops as a means to provide you with 24/7 content right away. As we grow IBEX Seminars & Workshops Online, we will be adding more technical seminars, similar to the technical content in the IBEX Seminars. While IBEX Seminars & Workshops Online will enhance your IBEX experience, they can never replace your actual participation in IBEX every year, what with the countless networking opportunities and events, the benefit of speaking with presenters face-to-face, and access to new products and critical services you can find from nearly 700 companies across three exhibit halls that include eight specialty and international pavilions. But, it does give you a taste of the IBEX Seminars and Workshops you can find in Tampa. And don’t forget to register for IBEX in Tampa, Oct. 2–4, 2018! If you have any questions about the IBEX Education Conference, always feel free to reach out to Sarah Devlin, IBEX Education Director at 207-221-6652 or sarah@nullibexshow.com.